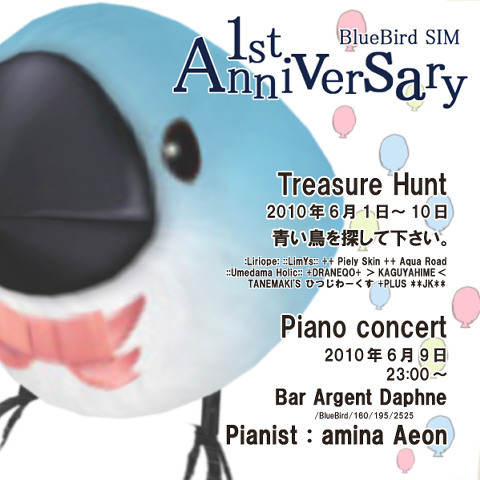 BlueBird 1st Anniversary Treasure Hunt. My Shop join this hunt. Please look for the blue bird! 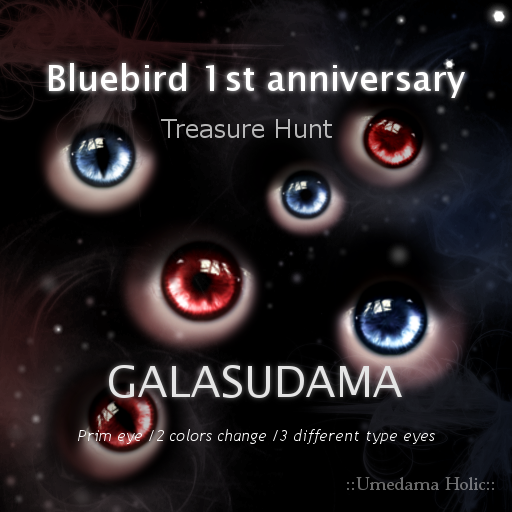 ::Umedama Holic::Main shop in BlueBird. 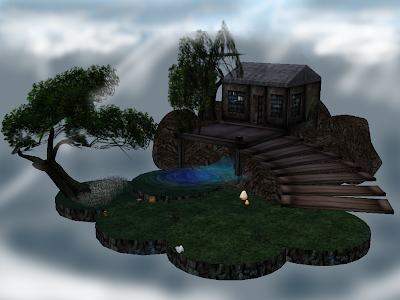 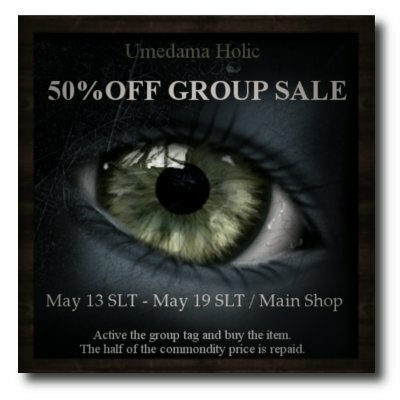 50% Discount for group members is final day! Join the group, Active the Group tag, Buy the Item. 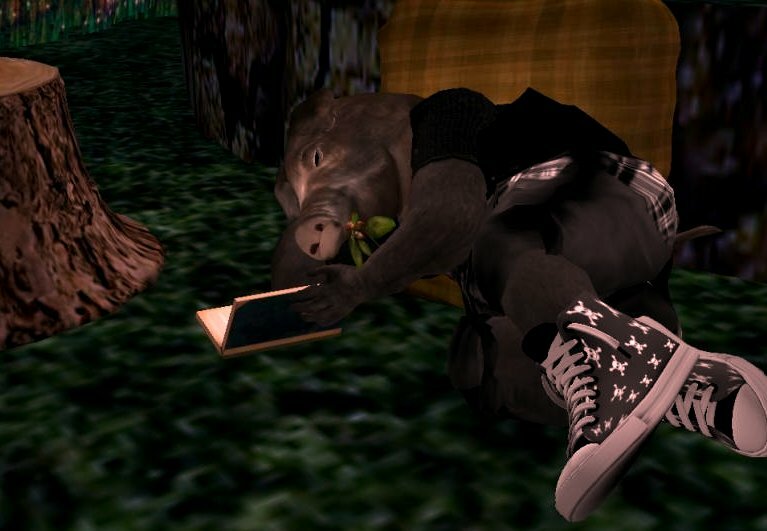 The half of the commodity price is repaid. 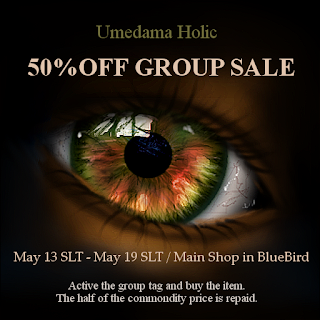 50% discount sale for group members started yesterday. 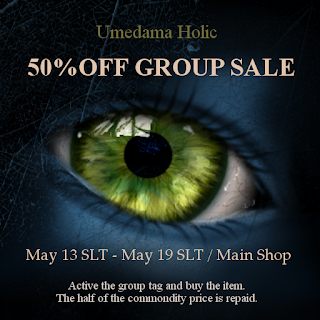 Active the group tag and buy the item. ::Umedama Holic:: 50% discount sale for group members started today! 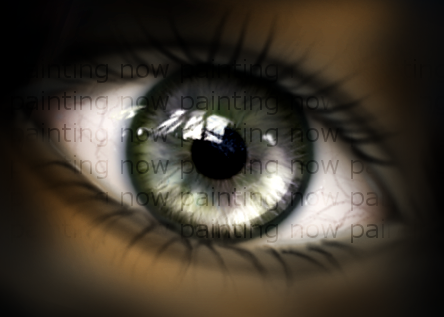 Rebirth body paint is out of sale.